The highly anticipated sequel to the best-selling-and laugh-out-loud funny How to Lose Friends and Alienate People. 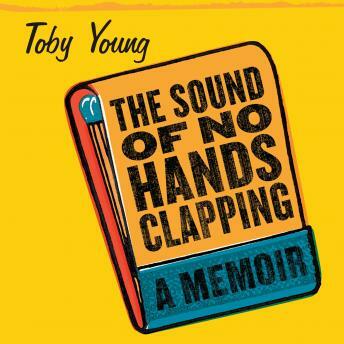 When even his friends refer to him in print as 'a balding, bug-eyed opportunist with the looks of a beach ball, the charisma of a glove-puppet, and an ego the size of a Hercules supply plane,' the odds of Toby Young scoring-in any sense-appear to be slim. But then How to Lose Friends and Alienate People, his account of the five years he spent trying (and failing) to take Manhattan, improbably catapults Toby to bestsellerdom, and his book is translated into twelve languages, including American. After receiving a once-in-a-lifetime opportunity from a big Hollywood producer, Toby sets his sights anew on a high-flying career, this time on the West Coast. But it doesn't take long for Toby's fabled 'brown thumb' and self-sabotaging instincts to reassert themselves. On the home front, though, things seem to be looking up: Toby manages to persuade his girlfriend to marry him and move to Los Angeles-but then she decides to abandon her promising legal career in order to become a fulltime homemaker . . . and mother. Toby's increasingly hapless attempts to pursue a glamorous showbiz career while buried in diapers will strike a chord with all modern fathers struggling to find the right work/life balance . . . and with their utterly exasperated wives. Failure-and fatherhood-have never been funnier.